NEW DELHI: Samajwadi Party chief Akhilesh Yadav criticised Prime Minister Narendra Modi Monday, alleging he tried to take credit of the work done by others by participating in a programme organised by an NGO to serve meal to underprivileged schoolchildren in Vrindavan. "Big people are coming to take credit of the scheme launched during SP regime in Lucknow and was proposed in other districts. 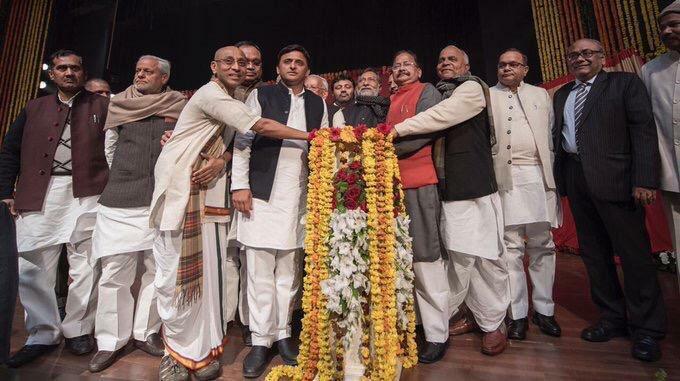 If it is their project, then whey are they not organising it in their 'Pradhan Sansidiya chhetra'," Akhilesh tweeted. "Yeh dusron ki thali me apna haq jamane wale log hain (They are those who stake claim on other's plate)," he added.